The Sardar Vallabhai Patel National Police Academy, Hyderabad is an iconic institution and hallmark of excellence in the sphere of formal police training. Over the years it has attracted the best of youth from across the state and region and has transformed them into officers and dignified citizens of the country. And to ensure this, the School is equipped with some of the most modern and advanced facilities and infrastructure like Well-equipped Classrooms, Modern Facilities, Internet Enabled Computer Laboratory, Well Stocked Libraries, Language Laboratory, and state of the art mini auditoria style plush classrooms that host various events such as lectures, presentations, musical evenings, debates, quiz competitions, and other such Inter-Battalion programmers etc. 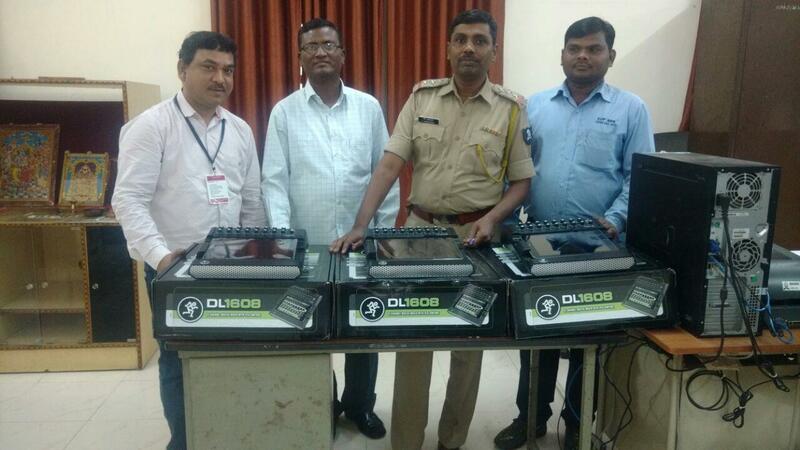 During its recent course of renovations which included improvements in seats, safety norms, interior decor, external aesthetics, up gradation of facilities etc, the management decided to upgrade their existing audio architecture through the inclusion of a brand new mixing console system in the form of the incomparable DL1608 compact mixing console from global leader brand Mackie, which was supplied by Hyderabad based reputed AV solutions company – Omega Tech.